Super New Moon Freebie on my Facebook page | Broomsticked The Life and Times of a Real Witch. #FreebieFriday #giveaway #freebie #sharethelove so for today’s freebie and giveaway I found this really cool candle with some pretty good intention statements on it. LIVE WELL, LAUGH OFTEN LOVE MUCH who couldnt use a blast of those energies into their life right? 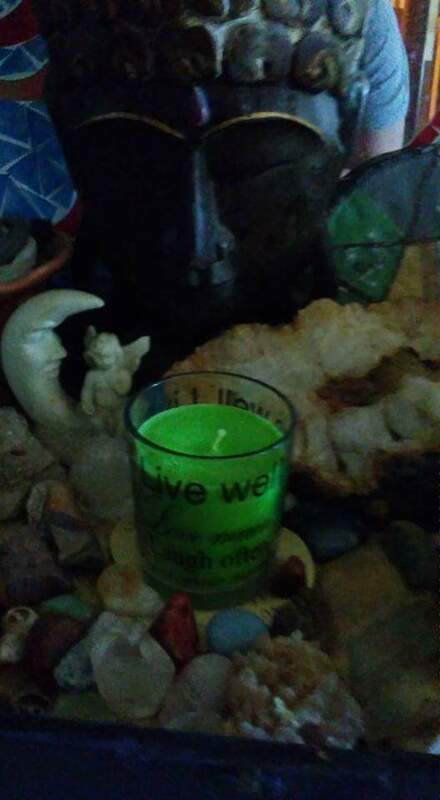 If you would like to go on the petition paper that this candle will burn upon just say your name below, be over 18, and try to share if at all possible, if not to your wall publicly, then Google plus, Twitter or sharing privately by messenger to someone is fine. I’ll be taking names for 48 hours and will do this on Tuesday night which is the #supernewmoon #newmoon So if you were thinking of doing spell work get them orders in! This entry was posted in Uncategorized and tagged freebie, giveaway, hoodoo, metaphysical, newmoon, supermoon, wicca by broomsticked. Bookmark the permalink.